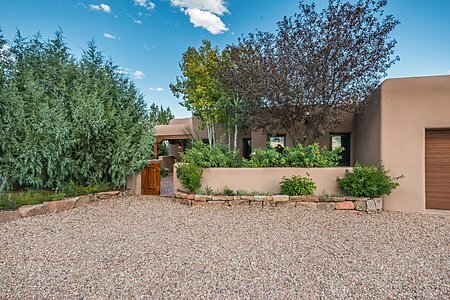 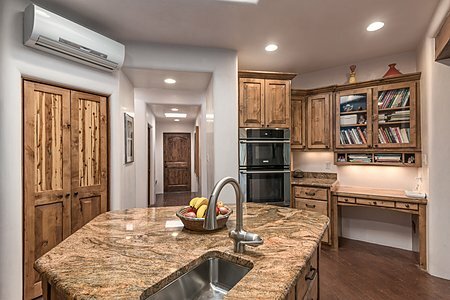 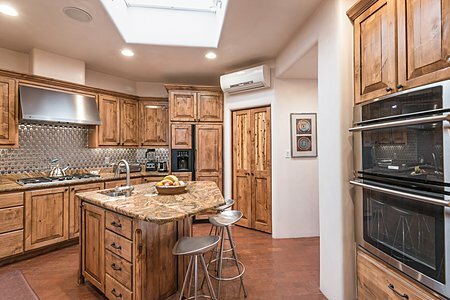 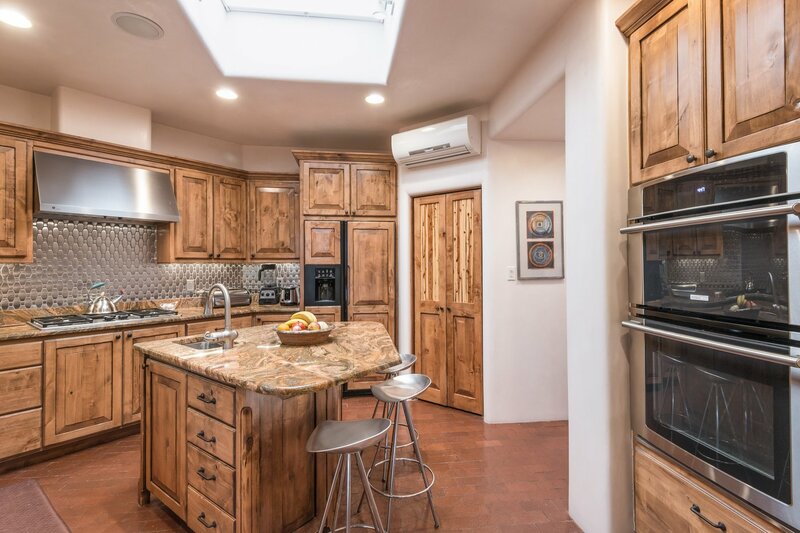 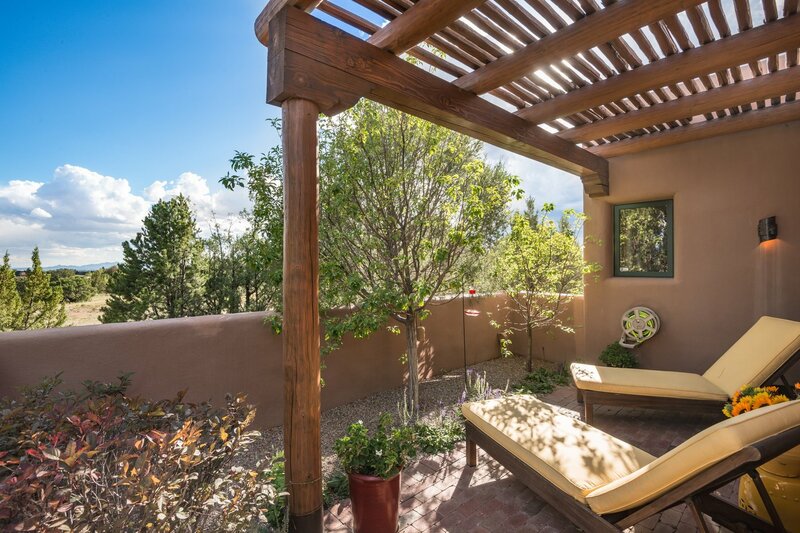 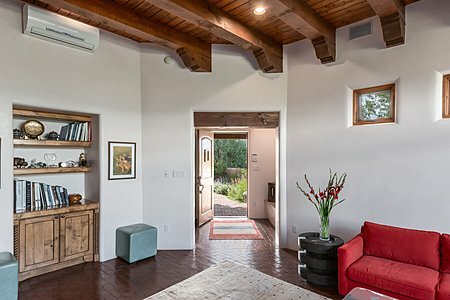 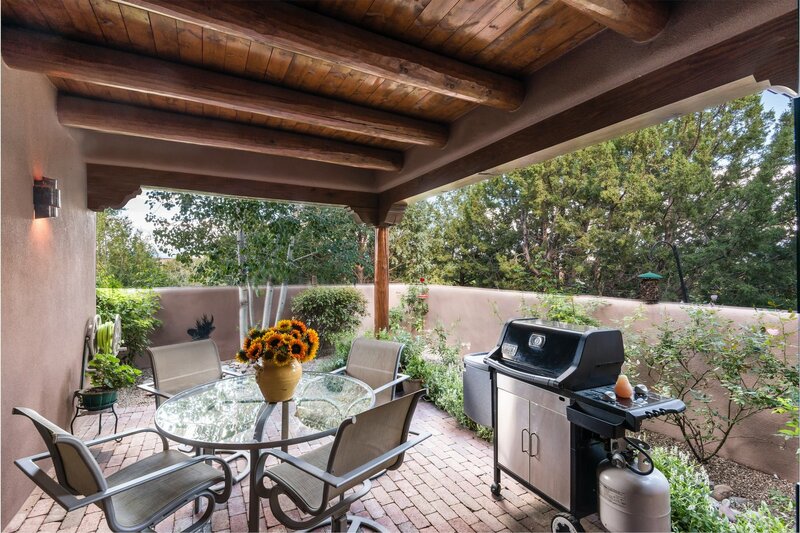 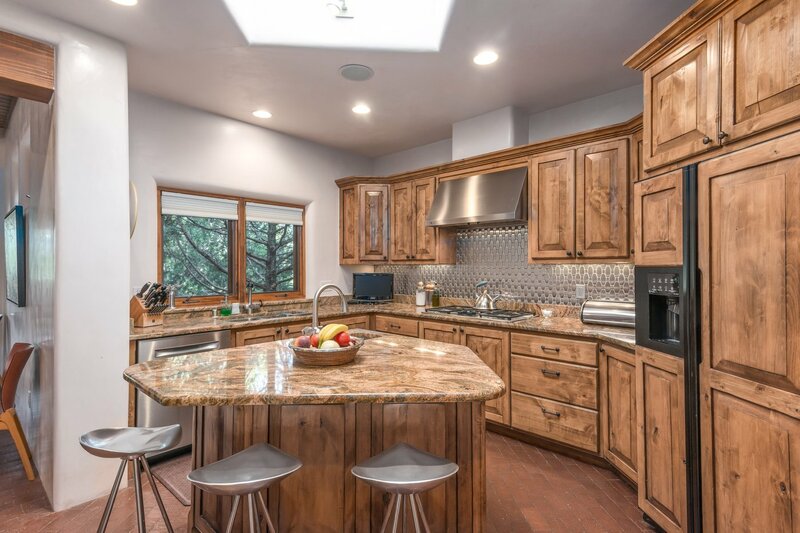 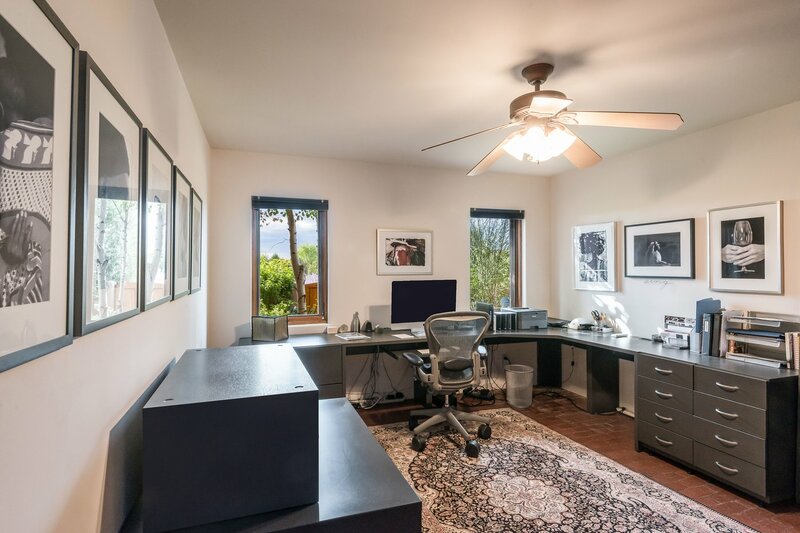 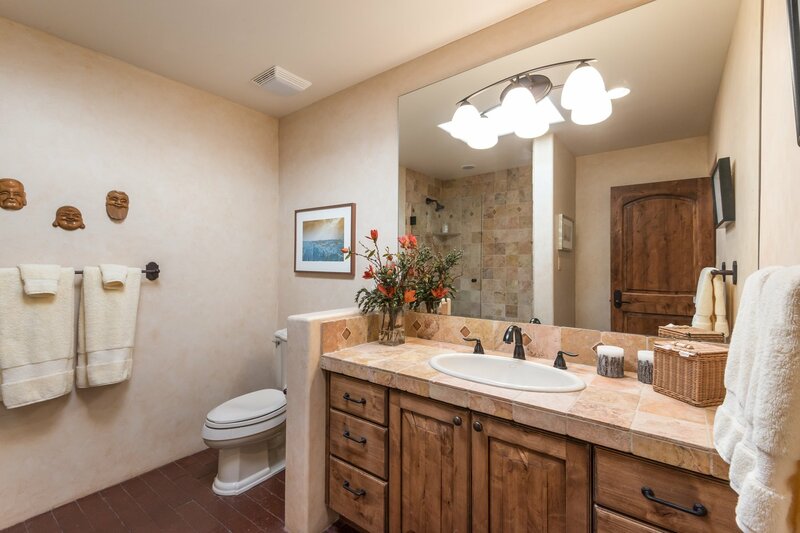 The lushly landscaped courtyard, with a riot of color from beautiful tulips, roses, lavender and other mature plantings, including Aspen trees, is a welcoming introduction to this inviting, Southwest style home. A myriad of outdoor spaces provide a quiet retreat for any time of day. 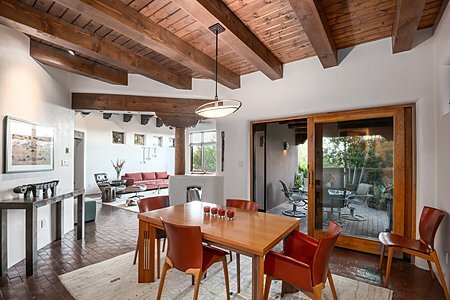 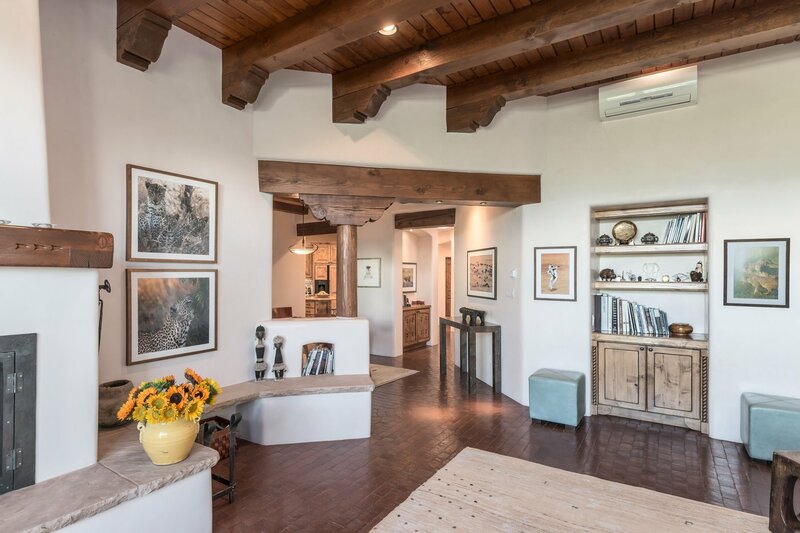 The residence is complemented by quality finishes that include brick floors throughout, high ceilings with vigas and beams, knotty alder wood doors and cabinets, diamond plaster walls and display nichos. A delightful chef's kitchen includes a center island with seating for three, gas cooktop, granite countertops, stainless-steel backsplash and a generously-sized pantry. 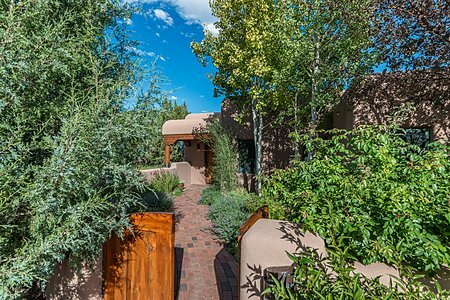 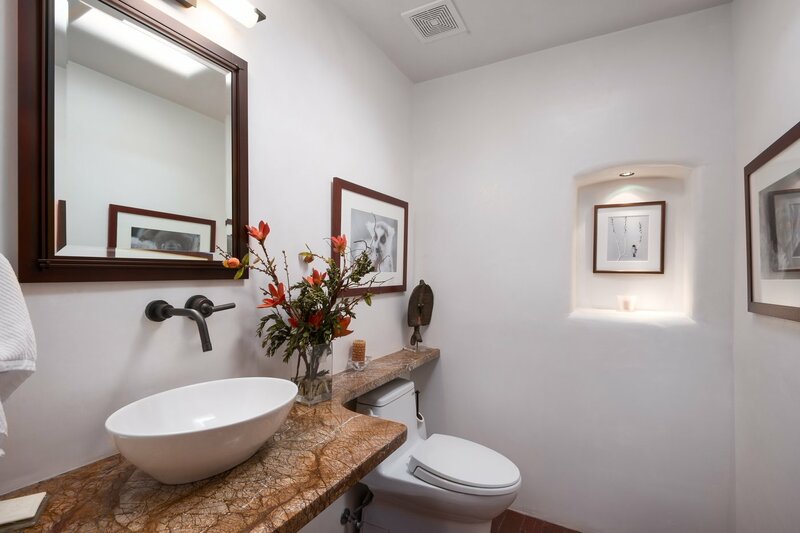 The spacious deluxe owner's suite, with its own private patio, features a kiva fireplace, well-sized and appointed walk-in closet with drawers and a packing peninsula, and a spa-inspired bath with glass enclosed shower. The two guest bedrooms are situated in a wing well-separated from the owner's suite, along with a full-size bath and a powder room. 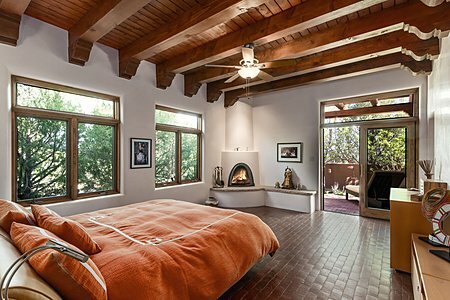 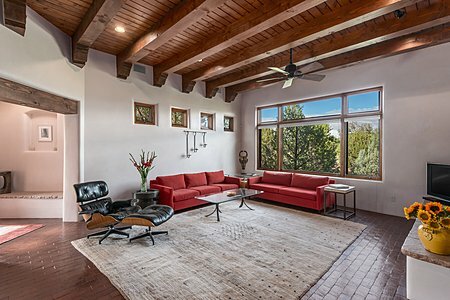 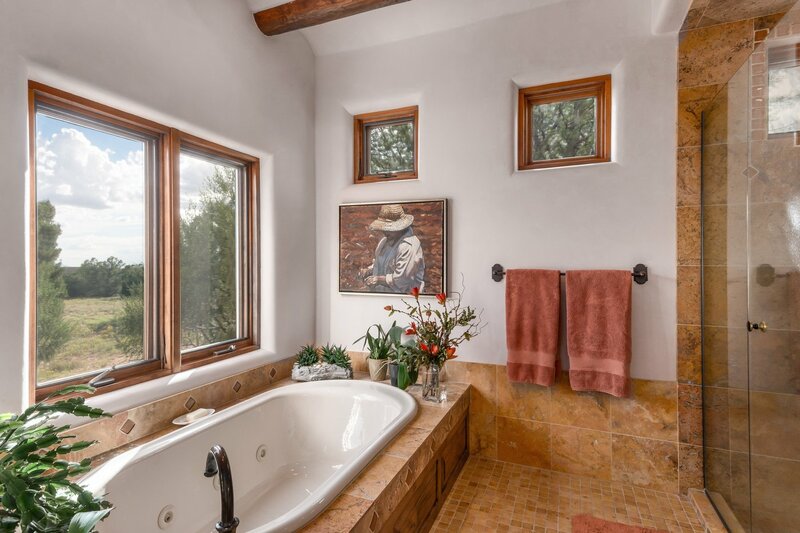 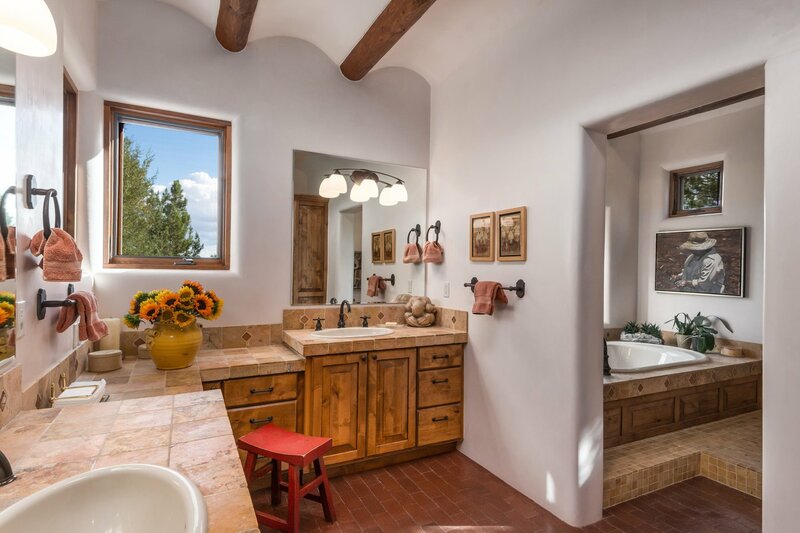 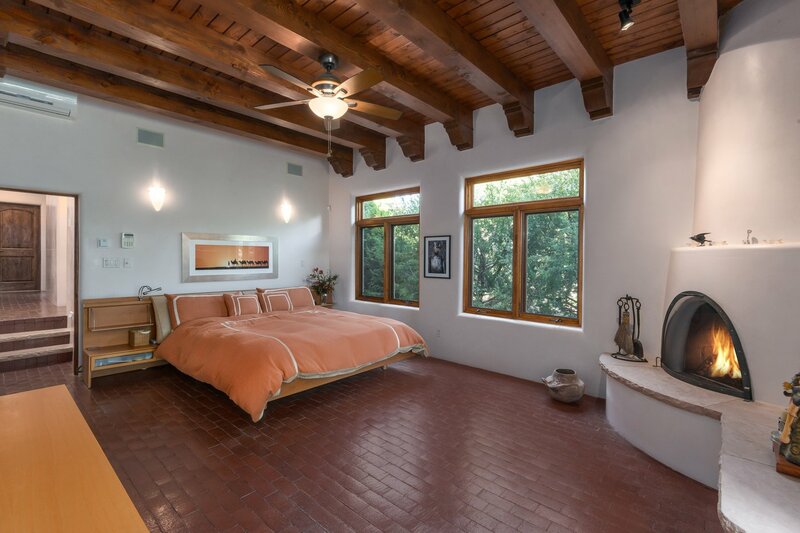 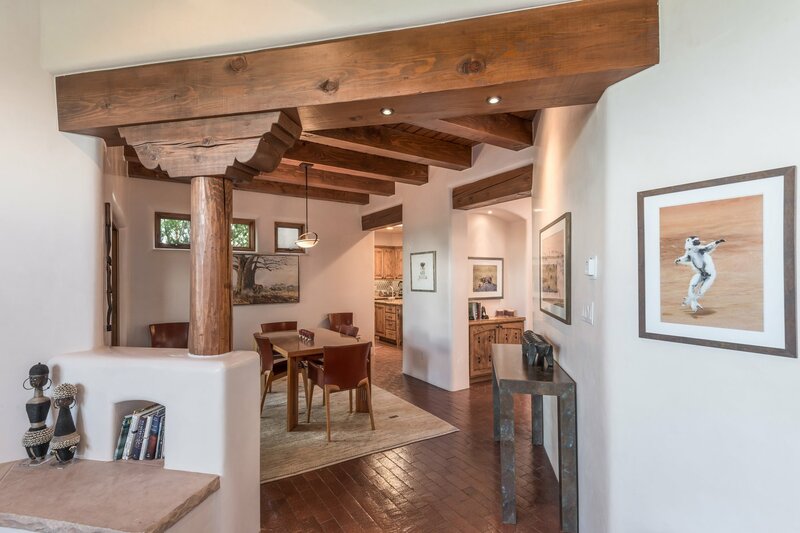 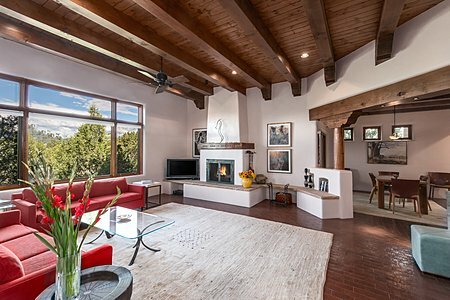 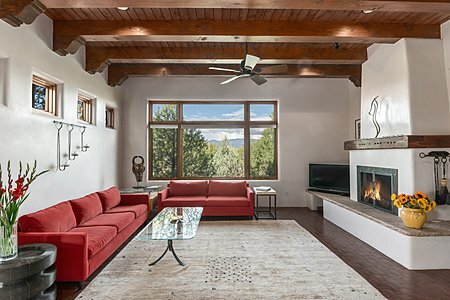 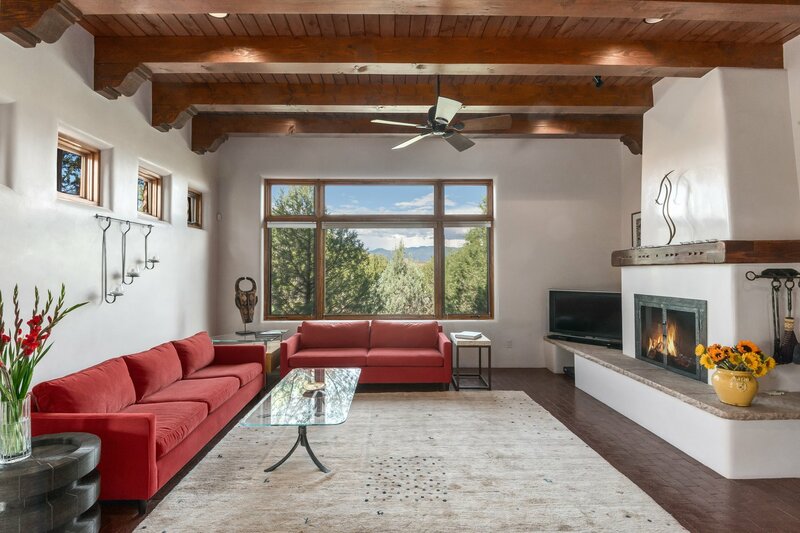 Gaze out on the Sangre de Cristo Mountains through windows that perfectly frame the view from the living room. 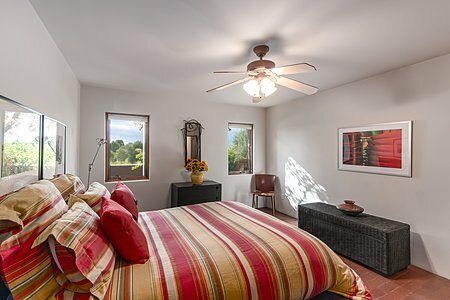 Ductless air conditioning provides comfort on those warm Summer days.